Felicia has been unlucky recently with injury but she’s back, looking for a new ride and ready to take on the world … 2018 … we can’t wait! Felicia: I have been racing since I was 4 years old in northern Illinois. My dad use to race and saw I loved riding bikes at the age of 3. One day he asked if I wanted to try it and it has been a big part of my life ever since! Felicia: My first World Championship races were in Netherlands 2004 and in Paris 2005. Kim Hayashi was one of the ‘it girls’, so I adored her. I loved that she was one of the only girls to clear the big jumps only boys did back then and inspired me to do the same. 15: Give us some of your big results from your amateur days, we know you’ve racked them up? Felicia: 14-time World Champion, 11-time ABA National Age Group Champion, 9-time NBL National Champion, 2008 ABA overall National #1 Girls Cruiser, 6-time USA National Champion. 15: 8m, 5m or something else? Do you prefer Euro tech or ABA pull … you always seem comfortable in the air! Felicia: Jumping is my favorite. It always has been, so I prefer 8m for that reason. As I have grown within the elite class, I’ve also grown a passion for the ABA pull tracks. The different types of tracks challenge the riders in different ways, so we tend to never be bored. There’s always a new challenge, which is my favorite part of the sport. 15: What has been your favorite track you’ve raced on … are there any you just don’t like? Felicia: My favorite track is the Rio/London replica in Chula Vista California. It might be that it is the only track I have won a time trial on 😉 I had my worst injury in Manchester, so there are mixed emotions about the track, but I hope to redeem myself there one day. Felicia: Track is definitely the most important. You can be the strongest and most powerful athlete, but if you do not know how to apply it, then good luck lol. Felicia: There’s not necessarily one person I want to beat more than others or at least yet! 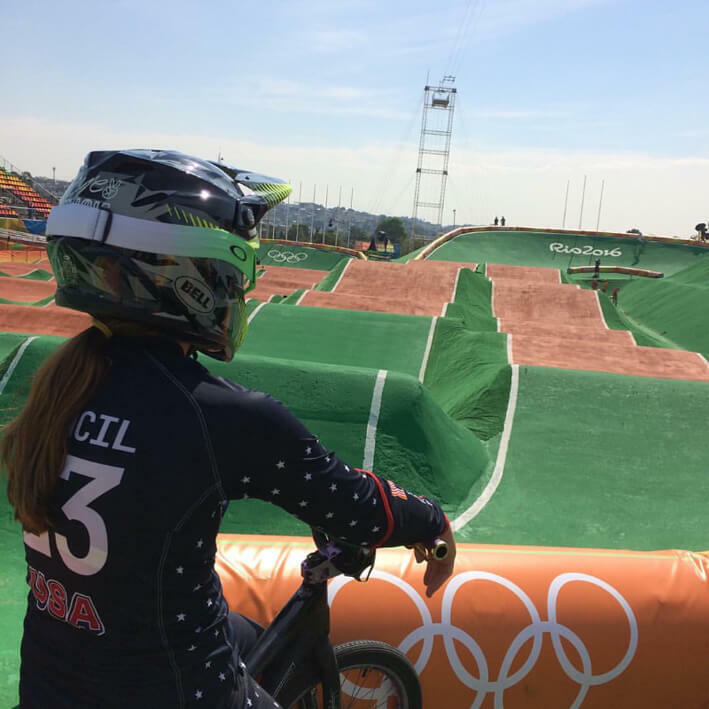 But Mariana is very hard to beat on very technical tracks and Alise is hard to beat on any USA BMX track. 15: There has been a lot of discussions recently on pro payouts for men and women, what’s your take on the whole thing? Felicia: My view on this topic is that the fastest women works just as hard as the fastest men. I believe the first-place prize should be similar. There tend to be a lot more men than women, so 2nd-16th place should be paid differently based on rider count. 15: The IOC recently announced the gender equality initiative which gives both men and women 24 places in Tokyo, we assume you welcome this? Do you think it will make any difference to you qualifying for Tokyo and the US rider allocation in general or will this just benefit small BMX countries? Felicia: This is the first time I am hearing of this. The extra spots can go to smaller countries or they may allow the top countries to bring 3 girls. It depends on the way they distribute the 24 spots. Rio they only allowed the top 3 countries to send 2 girls. Fingers crossed they allow the top countries to send 3 girls. 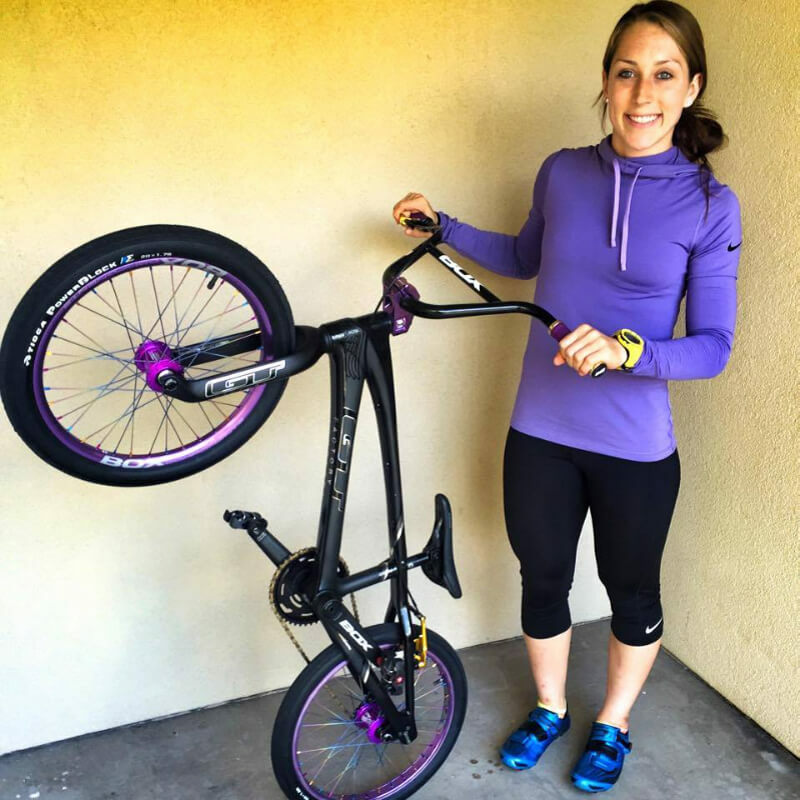 15: Injury is an inevitable side effect of BMX and you’ve had your fair share … although your latest time away hasn’t necessarily been BMX related, are you fully recovered now? 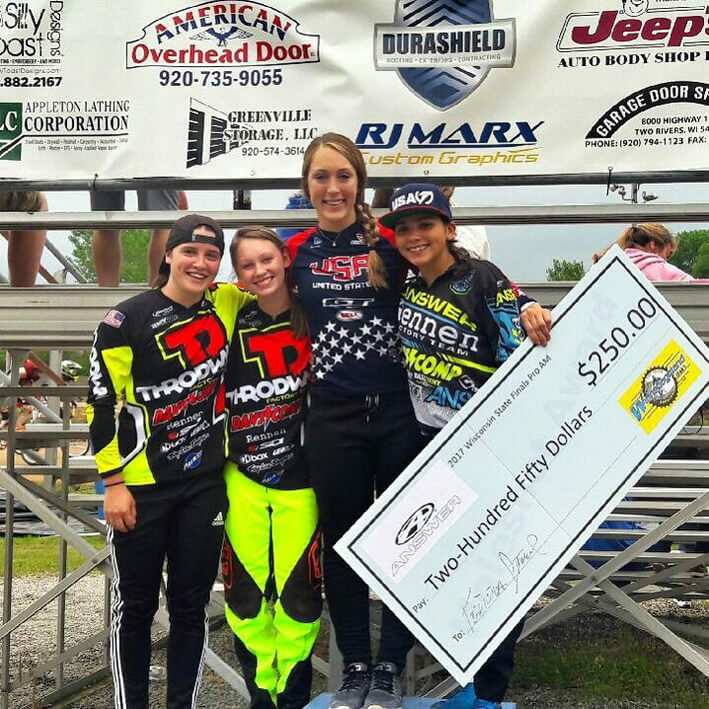 Have you become better at accepting and dealing with the down time as you move through your BMX career? Felicia: I am fully recovered now. It was the hardest injury I went through. When an athlete breaks a bone, doctors give them a definite time frame to when they will be allowed to ride again. This injuries time frame was 9 months to 2 years and I could ride some days when I felt good, but not others when the injury flared up. It was very complicated, but I am very thankful I feel like myself again. Honestly time away from my bike is just as hard as it was 5 years ago. I think I have become wiser and learned how to distract myself better, but deep down nothing can replace my love for my bicycle. That sounds corny, but it’s the truth lol. 15: It’s the Grands next for you, right? What’s your plan after that? 2018 goals? Felicia: Grands is my next race! I am training hard for it now. I hope to get signed to a team within the next few months and race everything in 2018. I loaded the credits for the fall semester, so I will not be too busy during the spring semester of 2018. I graduate from Marian University the beginning of May. It has been a lot of hard work, but I am happy I will be able to put a lot more of my focus into BMX for 2018 and beyond. 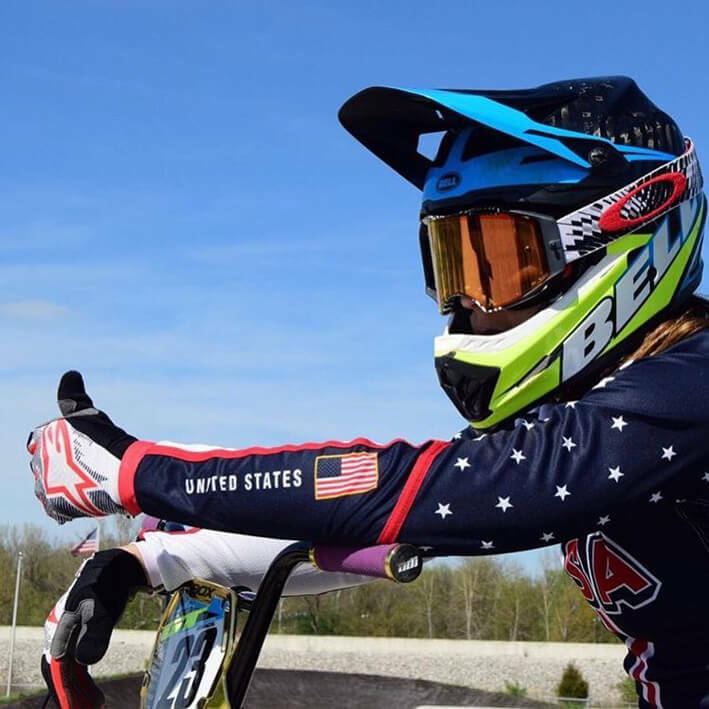 15: Looking further ahead are you thinking USA BMX title, SX World Cup title or is Tokyo the brightest beacon in foreseeable future? Felicia: The USA BMX title, Worlds, and the SX World cup title are on my mind for the next 2 years. Tokyo is the huge goal, but that won’t be on my mind until middle of 2019 season. Felicia: Marketing plays a huge role within sports. Marketing the individual athletes and events would go a long way! 15: What advice would you give to young riders looking to follow you to the top level of BMX? Felicia: I love the phrases of “stay true to yourself” and “the journey is the destination.” It takes a lot of hard work and mental discipline to get to the top, but enjoy the ride. BMX is a fun-filled sport with so many different types of tracks all over the world. Have fun! 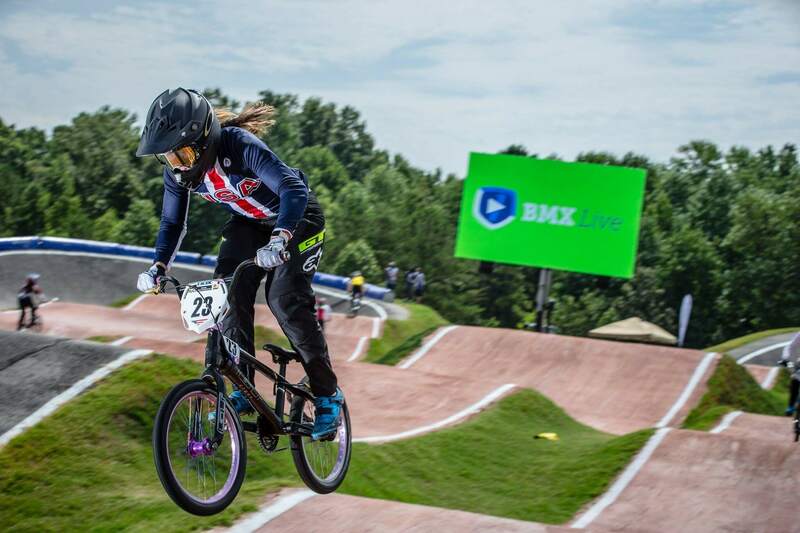 15: Sensibly, you seem to be planning for a future after BMX, what will we find you doing in 15 years’ time? Felicia: I was studying Exercise Science with a business minor at Marian University, but recently switched to Biology. I plan on attending graduate school to have a career in the healthcare profession, but that won’t be until 1 or 2 more Olympics cycles 🙂 I will still be riding a bike and hope to try some professional mountain biking within the future as well.